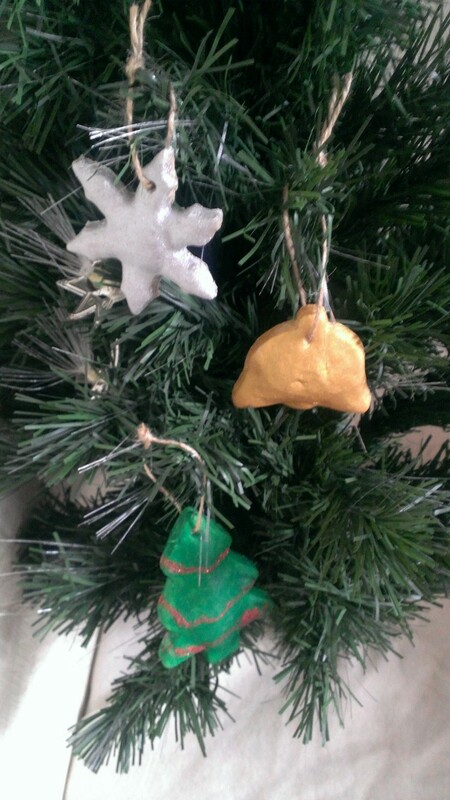 Over the last week we have shared some of our Homemade Christmas Decorations with you. 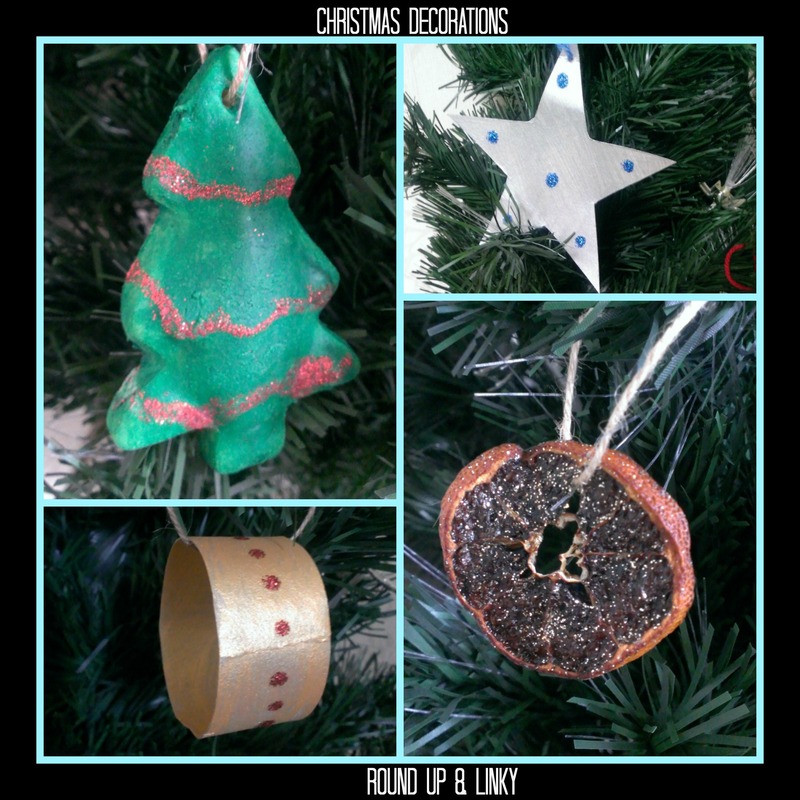 We started with our Toilet Roll Hoops, then we had the mini dried oranges, next was our Christmas stars and we ended yesterday with our Salt Dough Decorations. There are so many great ideas we have found we though we share some of our favourites with you. 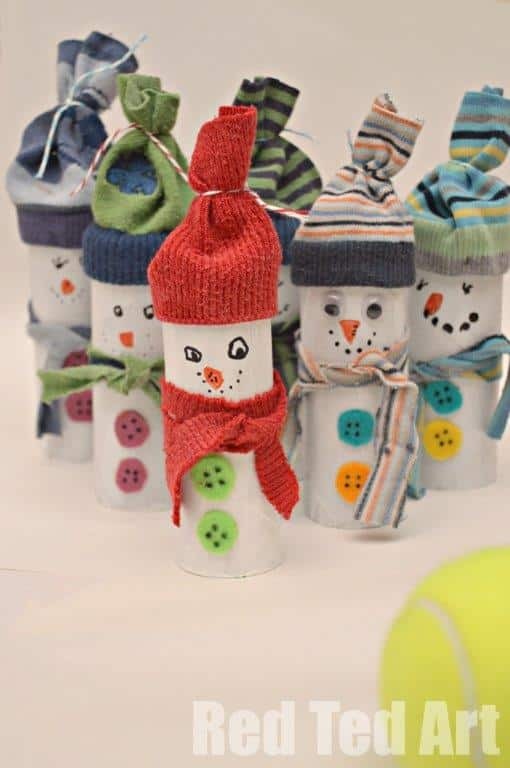 Why not try these Toilet Roll Snowmen by Red Ted Art. 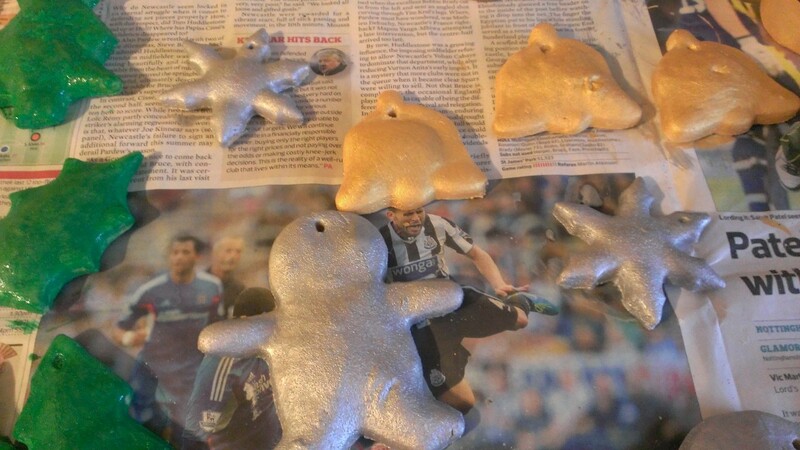 These are my daughter’s favourite decorations to make as it involves getting a bit messy. 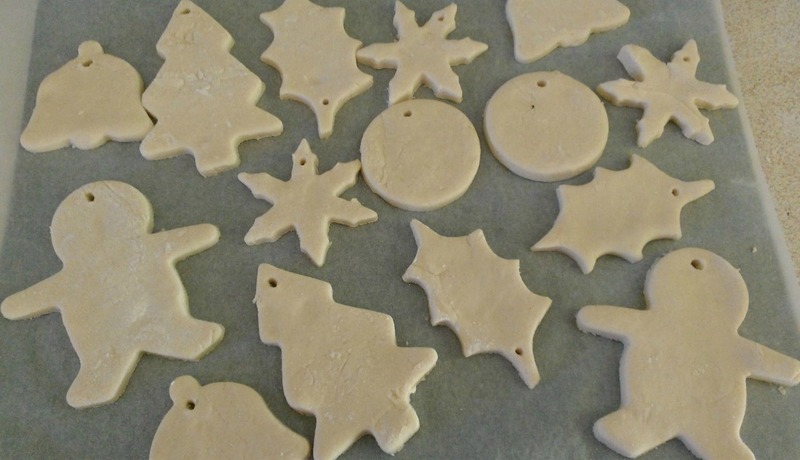 You can get quite a few decorations out of a batch of this dough. Mix the flour, salt and water together to make dough. If you are making coloured dough add the food colouring now. 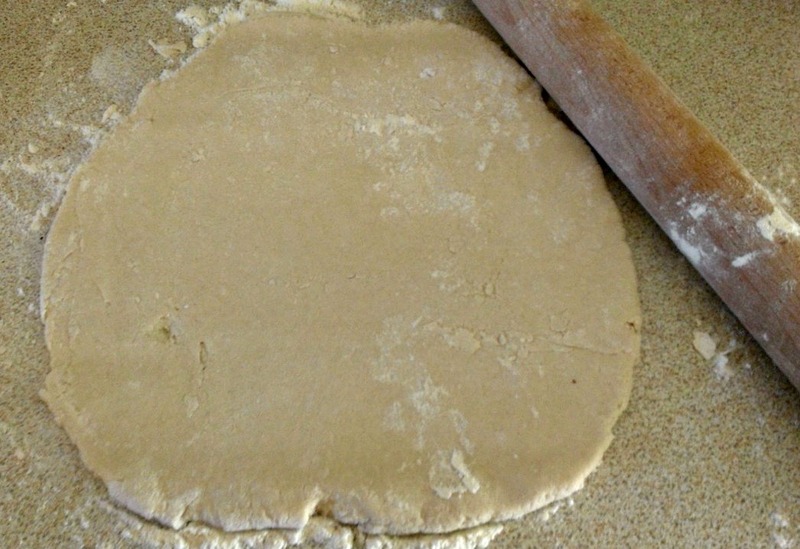 On a floured service roll out the dough to about ½ cm thick. Cut out your shapes. I have a collection of Christmas cutters. Make a hole in the top of each one. Bake in an oven on 140 for about 25 mins or until they are cooked/dried out. Decorate! We paint ours and add a bit of glitter glue here or there. I add PVA glue to the paint to help seal the decorations. Once they are dry, thread some string or ribbon through the hole and hang on the tree. These make great Christmas presents. 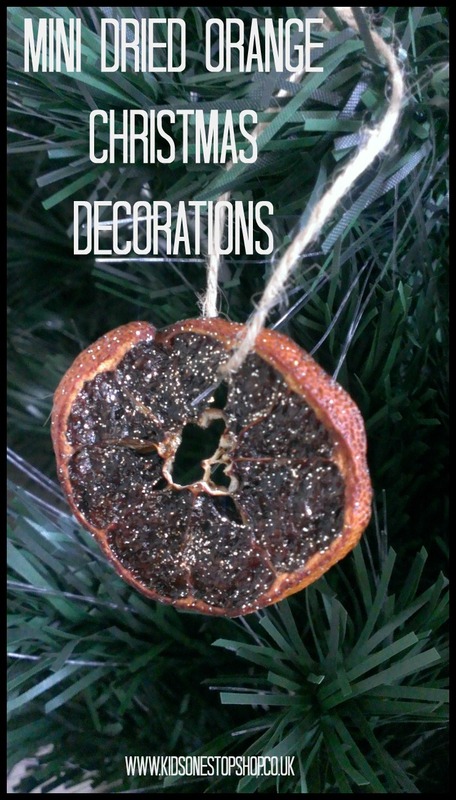 Tomorrow we will have a roundup of Homemade Decorations we have found so don’t forget to come back. 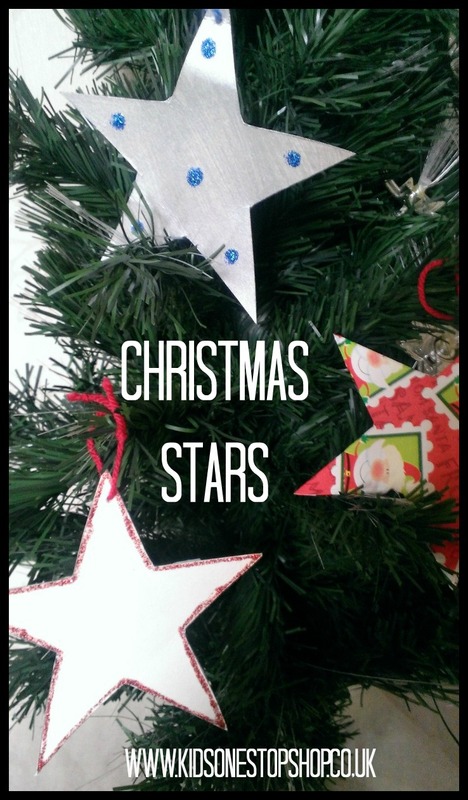 Earlier this week we showed you how to make toilet roll hoops and mini dried orange decorations, today we have Christmas Stars. 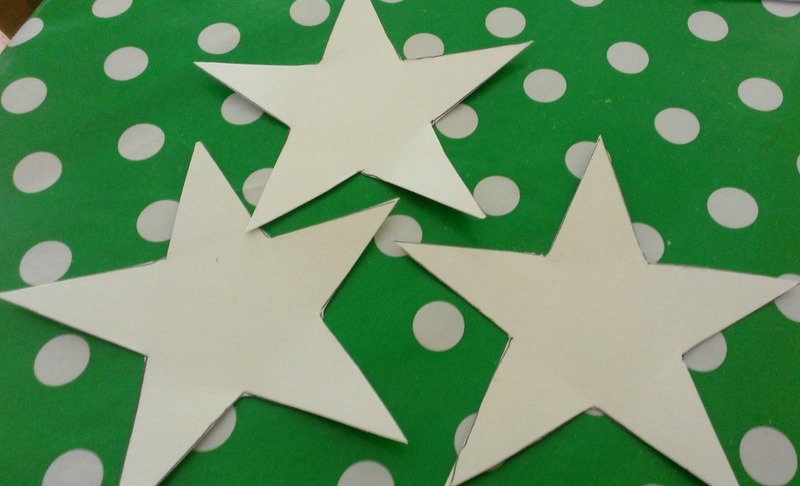 These are super simple to make and we even have a star template you print off if like me you are no good at drawing the stars. I used a cardboard cereal box for our stars but any card will do. 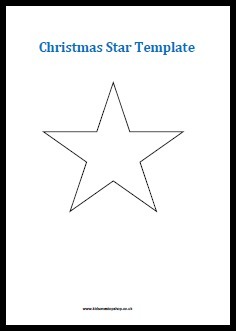 Draw your star on the card and then cut out. I made a template for mine and as I am very nice I thought I would share it with you. Make a hole in one point of the star. I used a pen and put a bit of blutack underneath to help. Now this is the fun bit, get decorating. 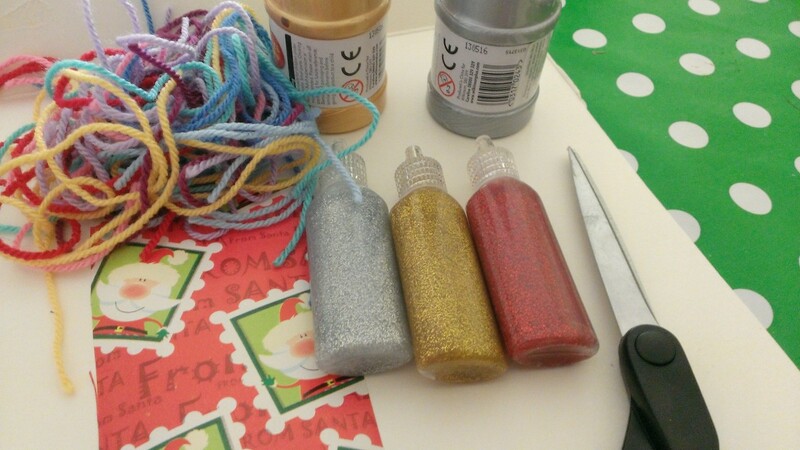 We painted some of ours silver and used blue glitter glue to make embellishments, we wrapped some in wrapping paper and the other we just did an outline of glitter glue. Do whatever you want paint, glitter, stickers or even sequins. 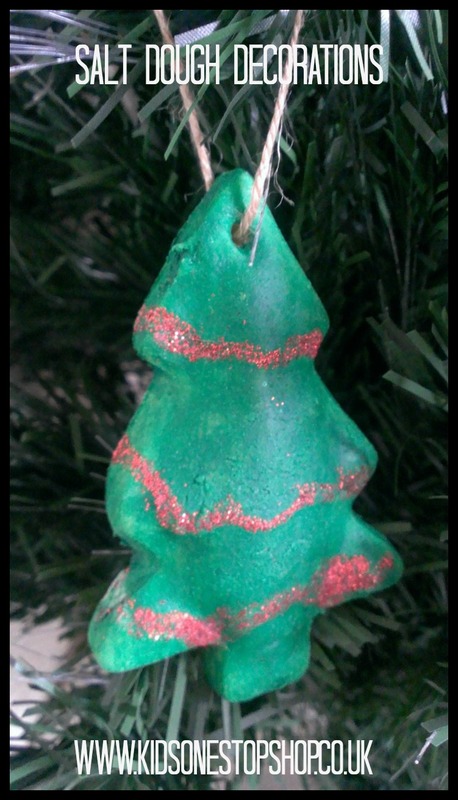 Once any paint or glue is dry thread some yarn or string through the hole and hang on the tree. Simple but looks great and keeps the kids occupied for a little while. Yesterday we shared with you our Toilet Roll Hoop Christmas Decoration. Today it’s all about the humble orange. I love making these, they are simple to make and can be used to decorate trees, presents and wreaths. We do love to bling ours out with some glitter but they look great plain. We used clementine’s for ours but you can use any kind of orange. The large ones will need a little longer to dry out. Slice the oranges. You don’t want them too thick or they will take ages to dry out. Place on a baking sheet that is lined with baking/greased proof paper. Switch your oven on to its lowest setting. They will take 2-3 hours to dry out. Check and turn them over every 30 mins. Once they are dry take them out and leave them to cool. Now you can either leave them like they are or you can decorate them. We covered them in glitter glue but you could just add glitter to the outside or covered with sequins. Thread some sting or ribbon through them and hand on the tree. You generally find there is a natural hole in them. Come back tomorrow for another Homemade Christmas Decoration. Each year me and my daughter make a decoration for our tree and as gifts for the family. It’s great fun and makes such lovely gifts. 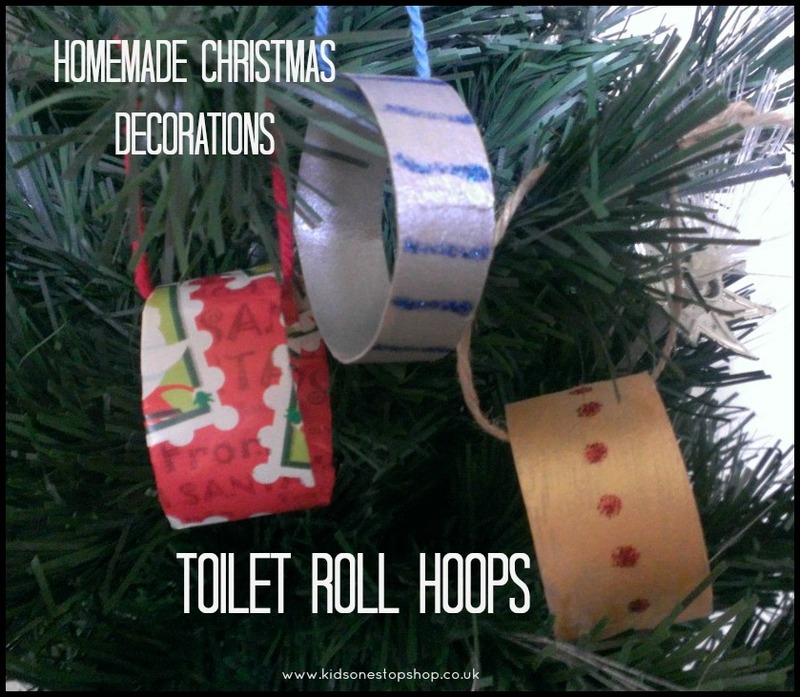 I thought I would share some of our Christmas decoration ideas with you and today we have Toilet Roll Hoops. These are great as we all have toilet roll tubes hanging around and you can use whatever you want to decorate them. 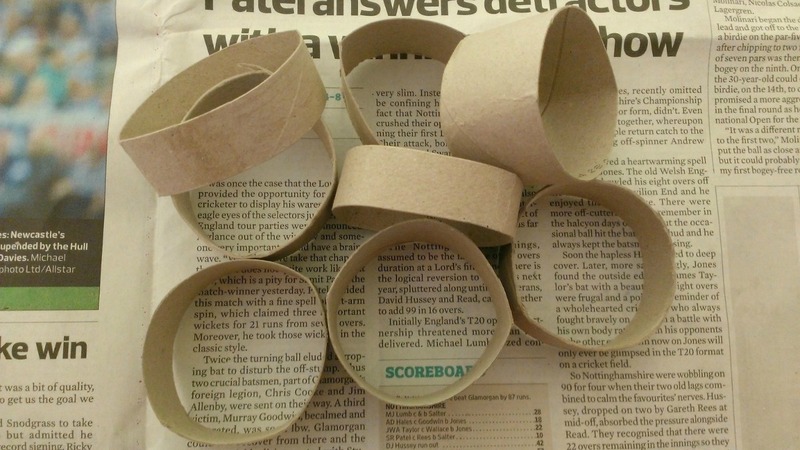 Cut the toilet roll tubes into rings. I find that if you squash them slightly it is easier to cut them. 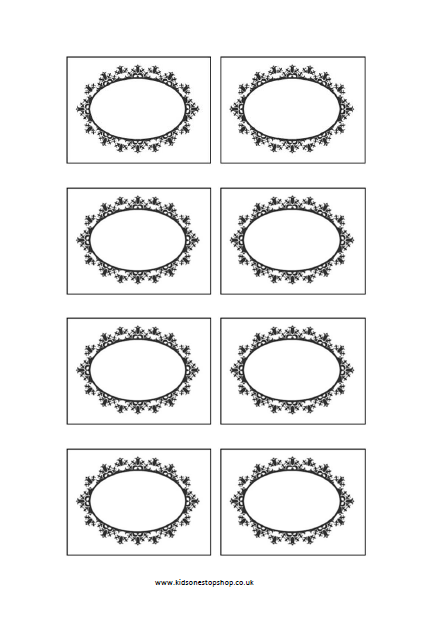 Also cut them different thicknesses. Now this is where you can go wild decorating them. We painted some of ours gold and silver and then embellished with glitter glue. I always have scraps of wrapping paper so we used that to cover some of our hoops. You can use whatever you want, paint them, add stick on jewels, wrap in ribbon, cover in washi tape or cover in glitter. One they are dry tie a loop of wool, ribbon or string to them and hang them or your tree. 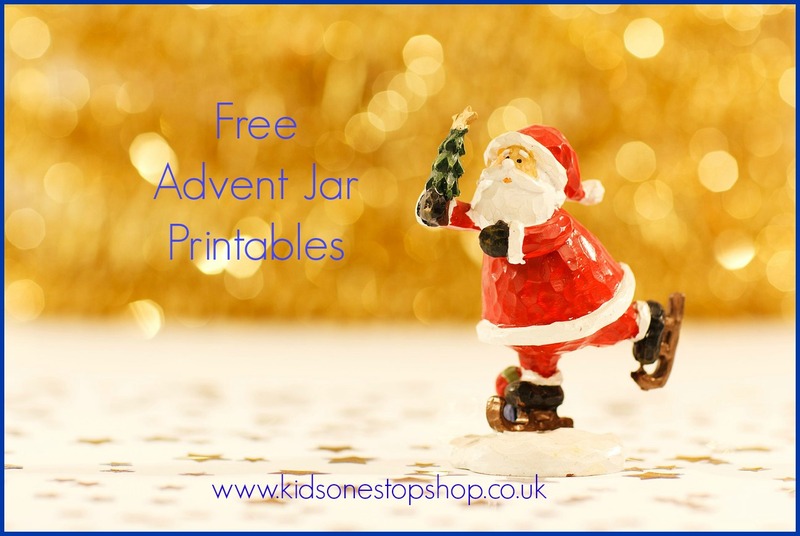 This activity is a great one to add to your advent task (have you seen our advent jar yet?). I shall be back tomorrow with another Homemade Christmas Decoration. We have covered the children now it’s time for the mums! Not sure what you want for Christmas this year? 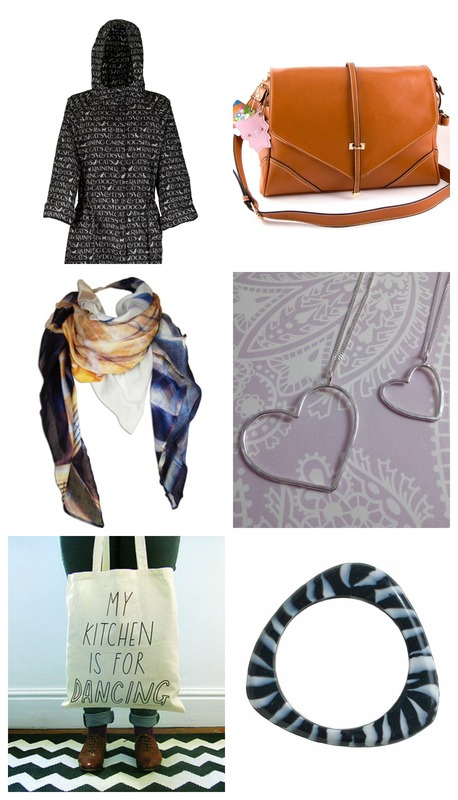 Need a great gift for a new mum? We are running a giveaway on our Facebook Page. 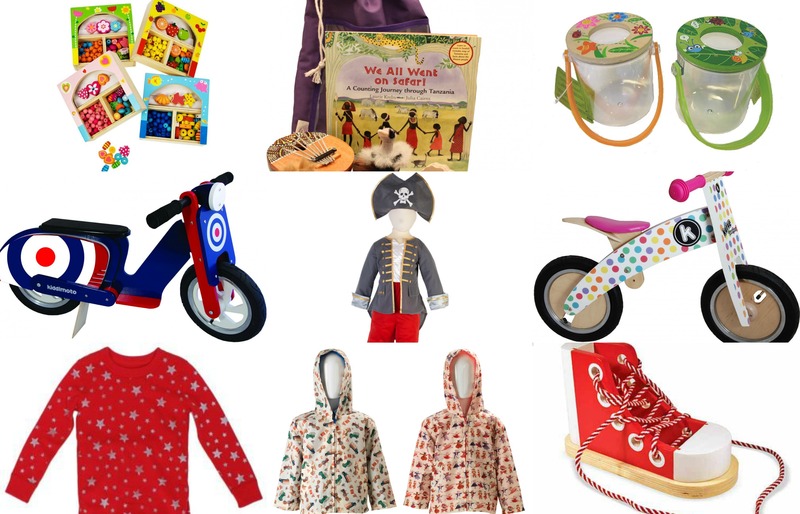 You could £100 to spend on whatever you want from Kids One Stop Shop. To find out how to enter visit the Kids One Stop Shop Facebook Page or enter vis the widget below. 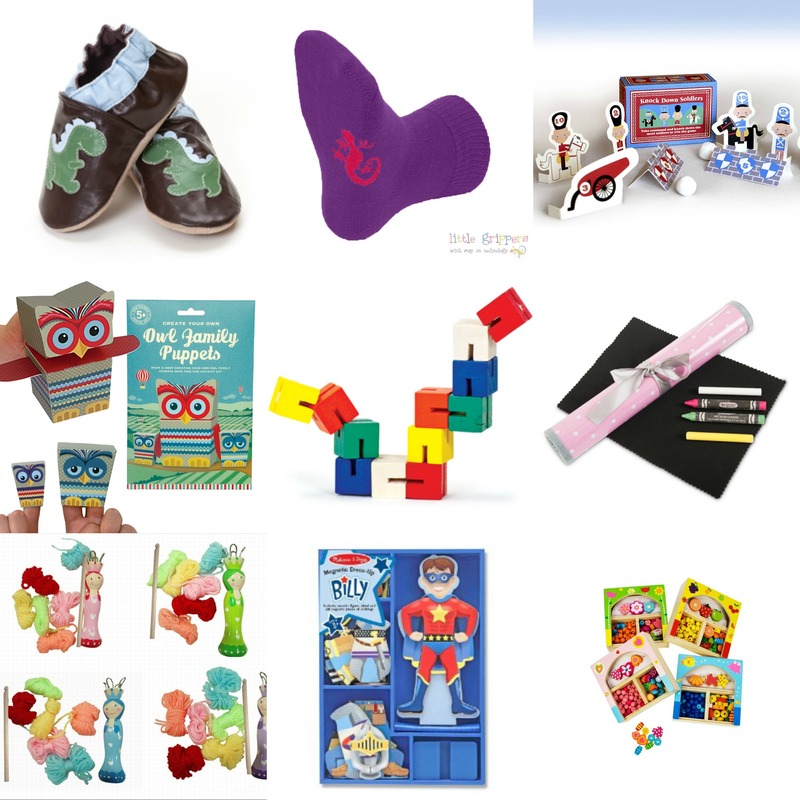 So far we have had babies and toddler gift guides and today we are sharing some of our favourite pre-schooler gifts. I have a great alternative advent calender for you. 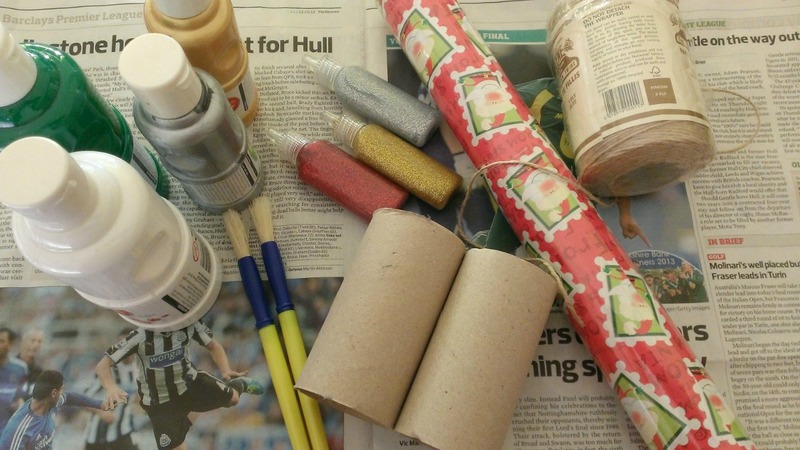 Its simple to make and is guaranteed to keep your children occupied on the run up to Christmas. I introduce the Advent Jar. 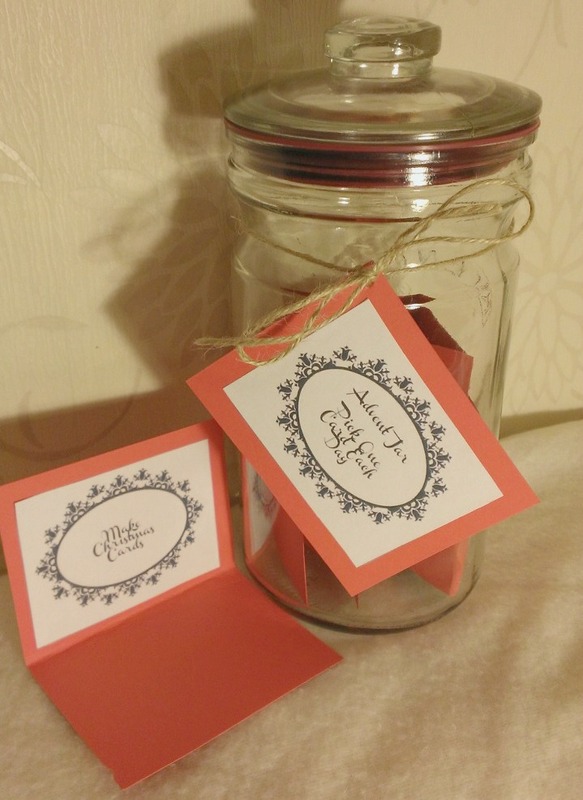 Fill the jar with daily tasks to do such as make a Christmas card or have a hot chocolate or even make up a Christmas Song. Here is ours, we still have a few more tasks to add but we’ve got plenty of time before the 1st December. Would you like to make your own? Well print off pdf below with the instructions and blanks to fill in your own tasks and get going. Get your child to pick a card each day for advent. Please let us know if you make this.